I've seen two of you mention there being less WarCors - which I assume is the Infinity equivalent to the old PP Press Ganger program. What reason was given for their departure? Not bad...not sure we needed a "transformer" bike. Infinity has transformers now? I have conflicting feelings about this. I will say it reminds me of Robotech cyclones; better looking though perhaps. 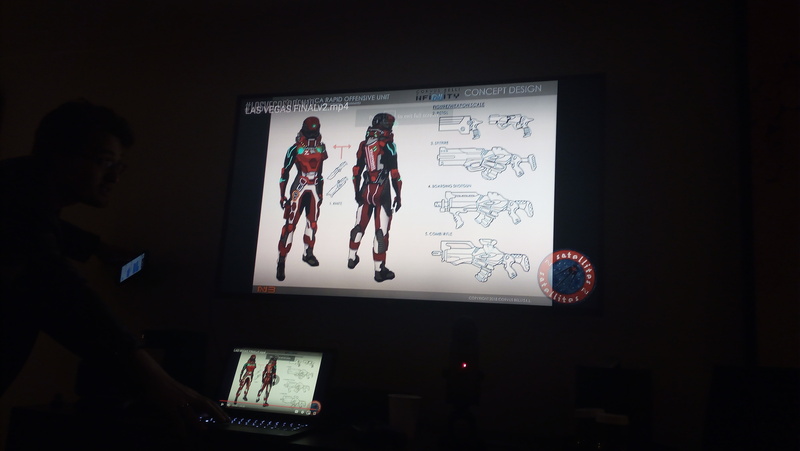 Will you have one piece that's the rider on the bike, and then two pieces for the dismounted rider and transformed bike? That would be interesting. It’s had a transformer for years now - the Su-Jian. Su Jian is a cool mini. It lacks herp-a-derp wheels affixed to its shoulder blades. CB is supposed to post some of its seminar videos from Las Vegas Open (USA) and Furor Teutonicus (Germany) on its YT channel. I'm guessing Monday-ish and with minor reveals. I'll wager that pre-order reveals for the next book begin Monday the 18th. Ramah Task Force best be in the Book. Just sayin'. Well, whatever the kerfuffle was, it seems to have gotten Corvus Belli to (potentially) sort themselves out regarding how they'll handle FAQs - though I guess the proof for y'all will be if you get an update in mid-April. Ramah Task Force best be in the Book. Just sayin'. Im curious which Warcors got the boot. I was a Warcor for years and there were some real gak stirrers in that group that needed to e removed. But that doesn't mean this was those people. I'm super curious. But if t isn't public knowledge maybe its better not to out those people> Has anyone who was asked to leave publicly identified themselves? Exaqueeze me? Baking powder? I do believe you meant Go Bots. I'm honestly surprised that there aren't more transforming robots in Infinity. Huh. I was not aware of this. Interesting. Go Bots! Now that's a blast from the past! 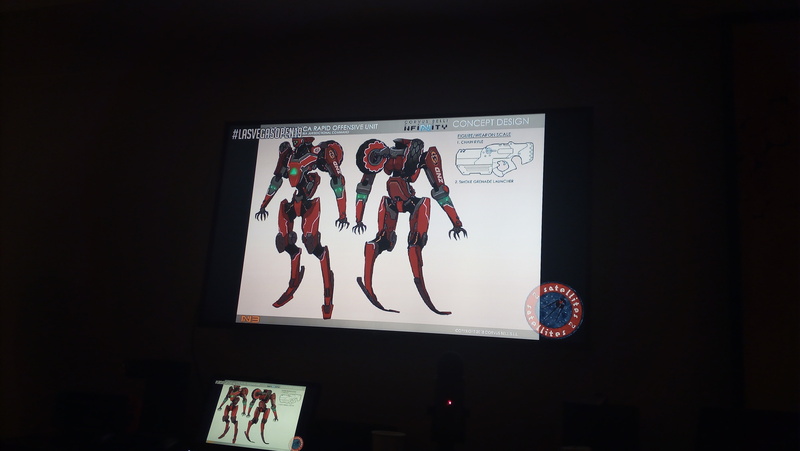 That's a nice looking figure too. FWIW, the wheel is off its back. It only looks like its on the shoulder due to perspective. The reverse image shows how it kind of hangs back like some kind of fin. Brawlers box. Sorry that the photo's a FB image but not much I can do on that end. Cheers Kan. Painted up they went from 100% meh to only 25% meh (the sniper pose is pretty uninspiring) so I'll have to pick them up for StarCo. Meat and potatoes but I need them for starco so it doesn’t really matter. Glad I got the exclusive one last year for the msv2 haris. Also let me settle on a paint scheme I was happy with. Where was that available and, yes, of course, what's it look like? It came with Uprising and it had a Rifle. And as a bonus it came in the most boring tactical rubble pose available. I didn't realise how many Haqq notes they had until seeing them painted. I'll be picking them up...even though I could use the Govads I will likely never otherwise use to rep them. Bostria presents a new Infinity video-seminar for the Satellite Tournament at Las Vegas Open (USA). The event took place on February 9th to 10th 2019. Bostria specifically answered the question about weapon sprues. He stated that CB had made them in the past but they were not profitable, hence why they do not do them anymore. 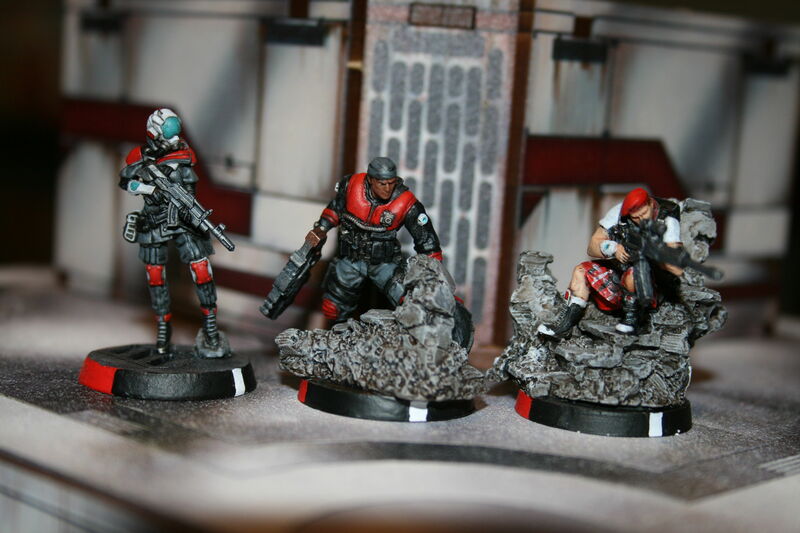 10/15mm infinity: Not this year. There are people inside the company that would want that though. Model count: No plans to increase it past 20. New Tags in 2019: Carlos has seen no new plans yet but the video was recorded in January so there's still plenty of time as the full year's worth of designs aren't 100% done yet. will MAF and SEF get further support? Standard responce about making all armies popular but they can only support so many. New fluff Sources coming? Fluff in rule books and manga. Will Bakunin get new fireteam options in next book? Bakunin not getting upgrades in new book as far as Carlos is aware. Will we get new closed lists in 2019? No. With Ramah coming out soon is Khanate sectorial in the works? Ramah hasn't come out yet, wait for that to come out before we talk about next army. Will se see other background developments coming from player campaigns? Yes. As they've been doing for the past 2 years that will continue. 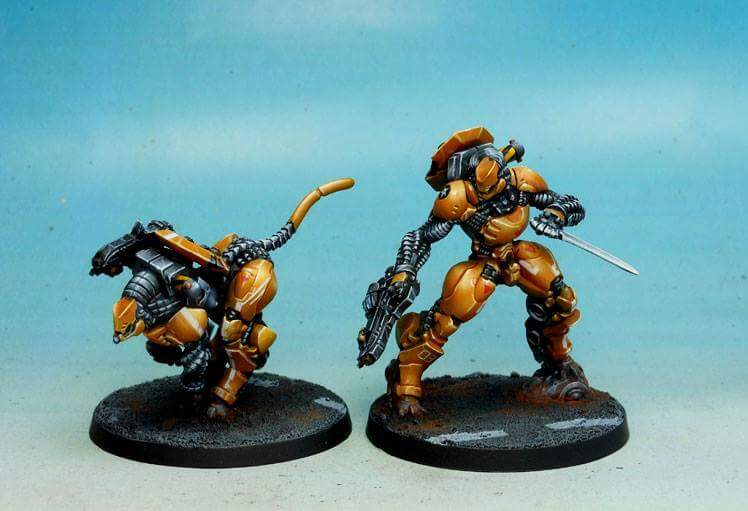 Is fortnite banned in yu jing? Yes. Yujing only plays Pubg. More NA2 armies coming? Yes. Great news coming this year just wait. weapon and equipment sprues? No. They did once and it didn't make money. 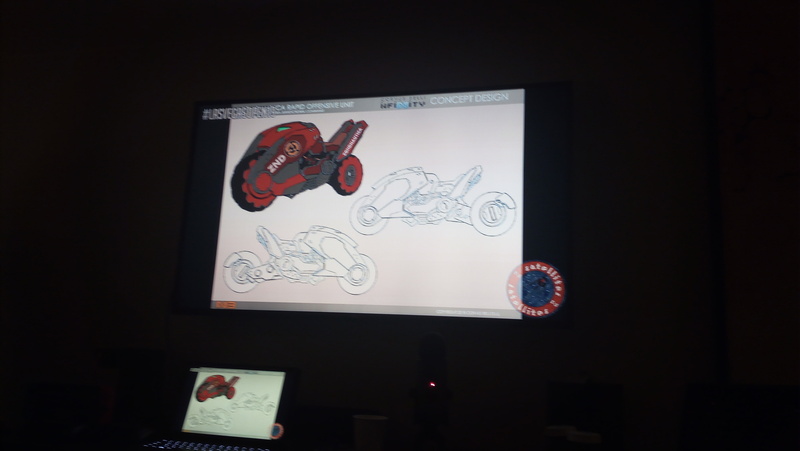 New Preview was the transforming bike, it was exclusive for LVO. Clearly the video was recorded before Apex Legends came out. "We won't talk about Khanate until after Ramah comes out!" Proceeds to give no new information about Ramah. Now I'm not confident RTF is this year. why? He did say in the video it was coming soon and has said other times it's coming this year. The past few years CB has made releasing new armies a weeklong event just about the new book/box coming out. They're not changing that plan and people should be use to it by now. These little videos for tournements aren't going to show the stuff they want to hold back for larger events. I was looking away from the screen for a few minutes around the five minute mark and I had to rewind to see if they really named a unit after the silly Cavarricci (sp?) Italian pleated pants of the early 90's. Fortunately for me, the text was on the screen and I was mistaken.